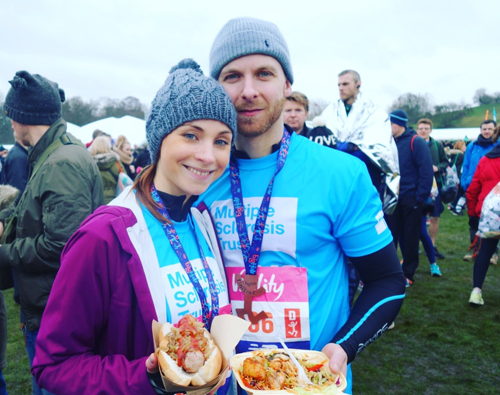 Zoe and her partner Rob ran The Big Half for the MS Trust in March and raised over £1,600 to help support people affected by MS. Zoe tells us why they got involved. In May of 2016, my life was turned upside down when I was admitted into hospital with a severe relapse. I lost my vision in my left eye, which then spread into my right. During my admission, I was diagnosed with multiple sclerosis. With no answers to why and how I had developed this long-term chronic illness, I decided to do my own research and began to make some sense of living with MS. The MS Trust provides a first-class, evidence-based information service that supports both individuals diagnosed with MS as well as family and friends. I found their resources very useful, helping me through this difficult time. After my first round of treatment last year, I have never felt better! 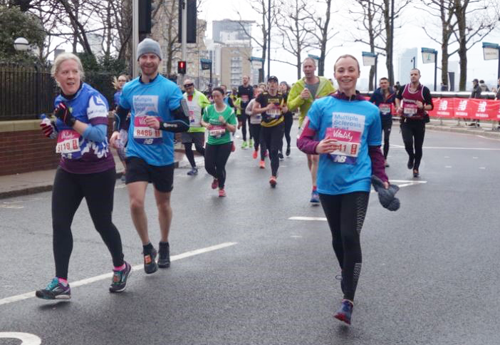 Exercise has always been a big part of my life so I decided to run The Big Half to raise money for the MS Trust. Improving awareness and supporting others like myself. Multiple sclerosis will not define who I am, I will define what multiple sclerosis is!